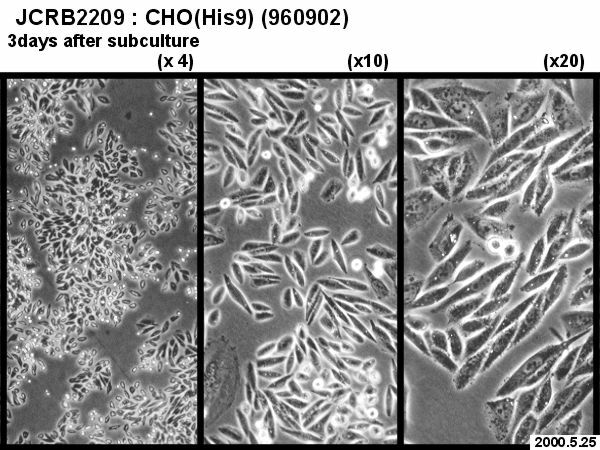 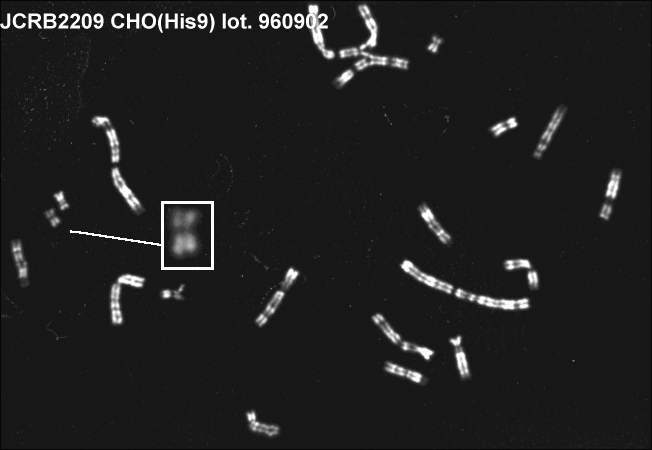 70.2% cells included intact human chromosome #9 at deposit. 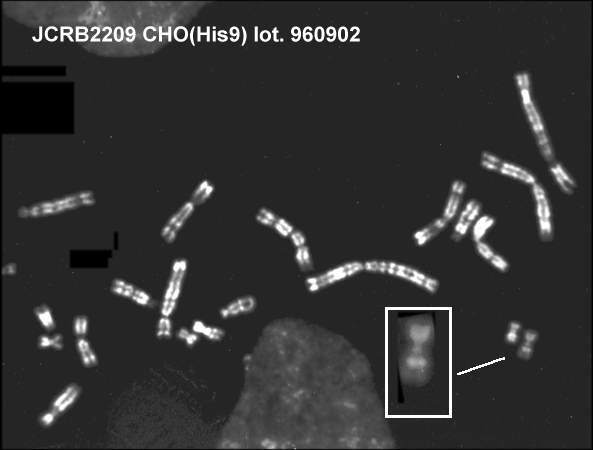 Cells include human chromosome #9. 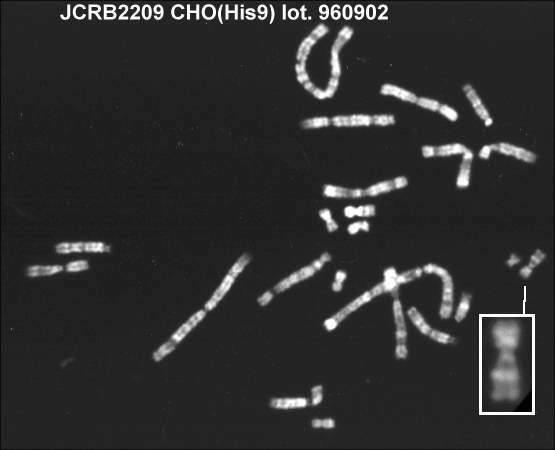 Human chromosome was selected by l-histidinol. 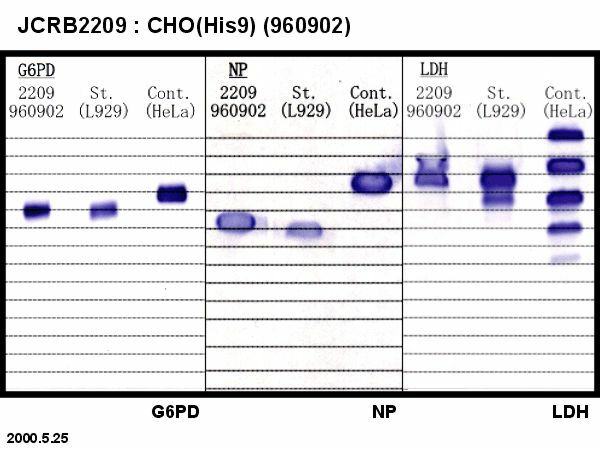 Dulbecco's modified Eagle's medium with 10% calf serum and 10mM L-Histidinol (Sigma).